I love it when an author manages to surprise you in the best way possible. I'd read Jason Black's full-length standalone novel Snakes Among Sweet Flowers in June of 2016 (written under Jason Huffman-Black), and was left impressed by Black's obvious talent for writing a story that draws AND holds your attention AND your heart and doing it well. It was also then I realized that the author was part of the multi-authored anthology that was Crack the Darkest Sky Wide Open, which I'm thankful I got years ago--but have yet to read...sad I know--since it seems to no longer be available for purchase. In the time since Snakes Among Sweet Flowers, however, there weren't any new releases from Black...until this past December. This author's return isn't just commendable but has me excited because he's proven to be more than a one-hit wonder and hopeful he won't up and disappear this time around. The Fairy Pond is very different from the author's last release. This was a quickie read, clocking in at twenty-two pages in total on my tablet and taking me less than half an hour to finish in one sitting. However, don't let the length of this book fool you. It's got a tale to tell and you'll want to read it, especially if you're the type that doesn't limit themselves to just one genre and if you appreciate well-written stories. Black definitely flexes his storytelling "muscles" here, giving readers a story had a folklore feel to it. This was about a young boy named Nevan who lives with his widowed mother, grandfather, and older brothers. They live a simple life on land that they own, and part of their property includes a pond. It looks like an ordinary small body of water, but then Nevan glimpses something, and when he mentions it to his grandfather, he's told to stay away from the pond...but will he listen? Learn more about Jason Black. 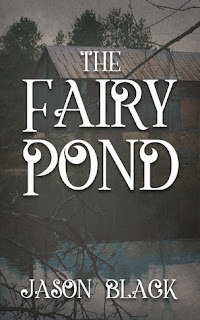 Purchase The Fairy Pond on Amazon.